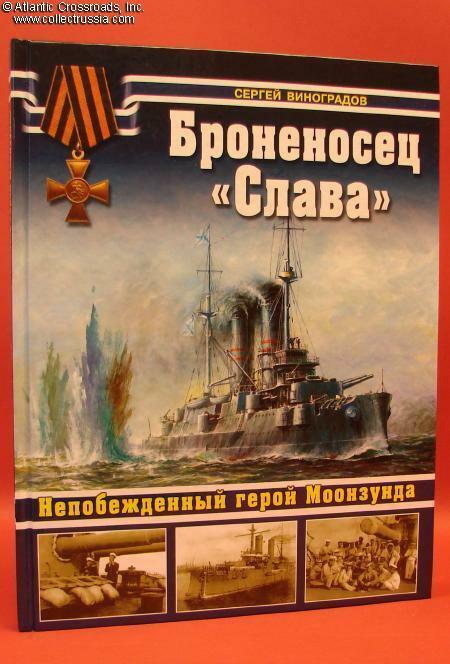 "Battleship Slava, the Undefeated Hero of Moonsund"	Sergey Vinogradov. 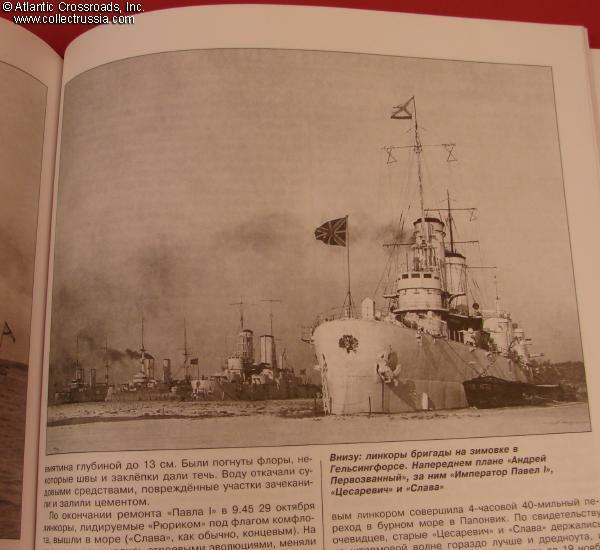 "Battleship Slava, the Undefeated Hero of Moonsund"	Sergey Vinogradov. 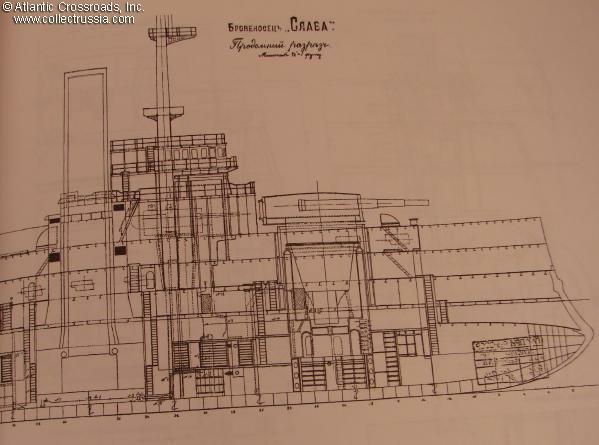 C 2011, Moscow. 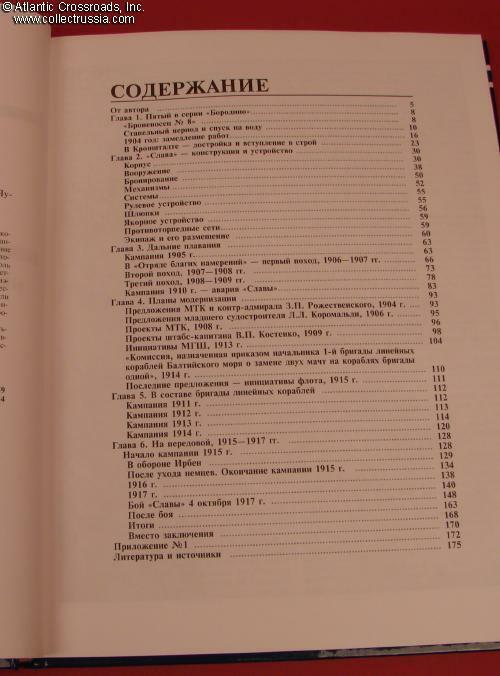 Russian text, 175 pp, 8" x 10 ½ " x 1/2" format, laminated hardcover. 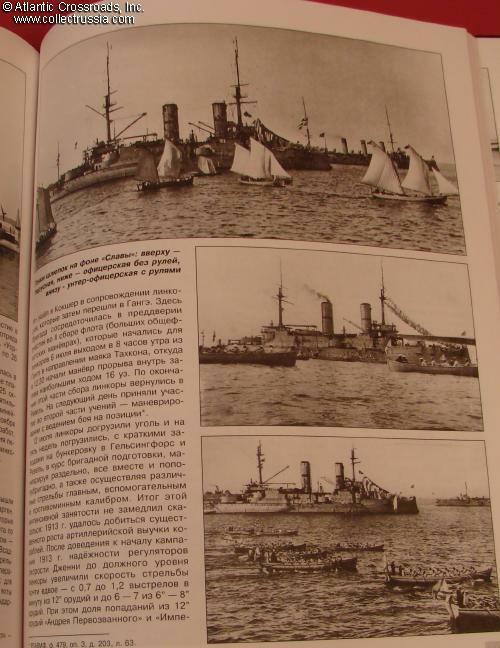 Richly illustrated with period photos, technical drawings and diagrams. 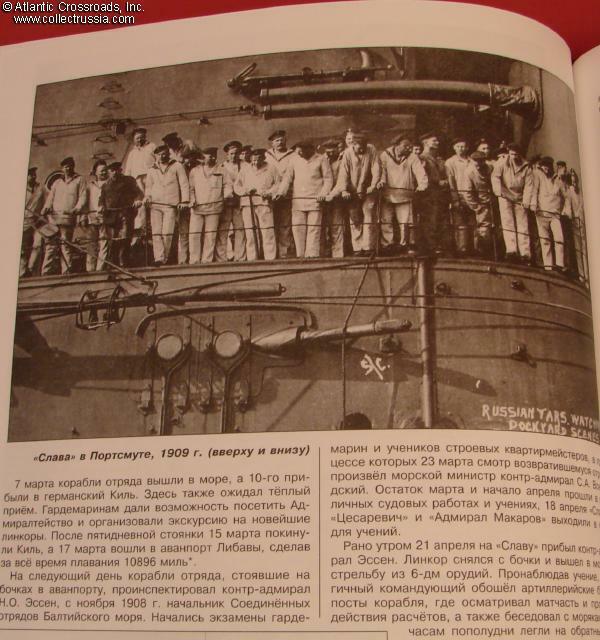 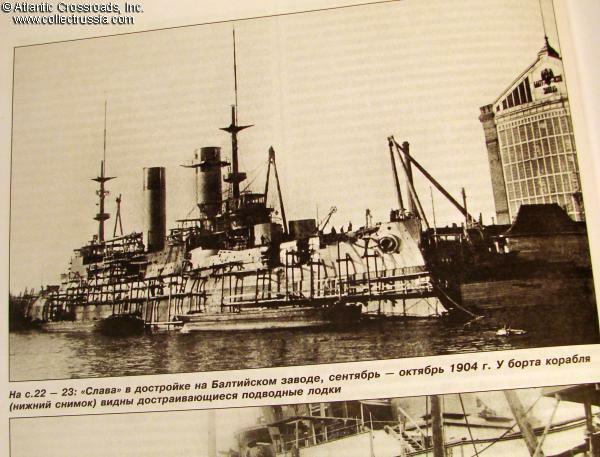 A detailed and compelling history of this fifth and final battleship of Borodino class. 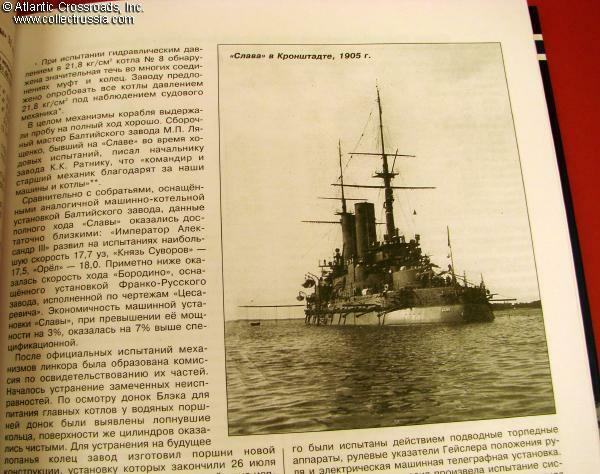 Unlike its predecessors which perished at Tsushima, Slava (whose name means Glory in Russian) fought with distinction in WW1 being the linchpin of the Russian defenses in the Baltics. 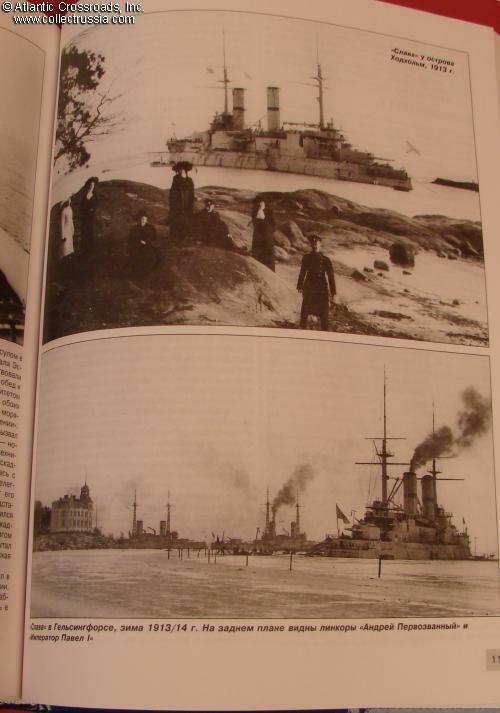 It caused a lot of frustration to the German fleet and anguish to the Kaiser personally until it was fatally damaged in the battle of Moonsund and blown up by its crew in an attempt to block the Moonsund channel. 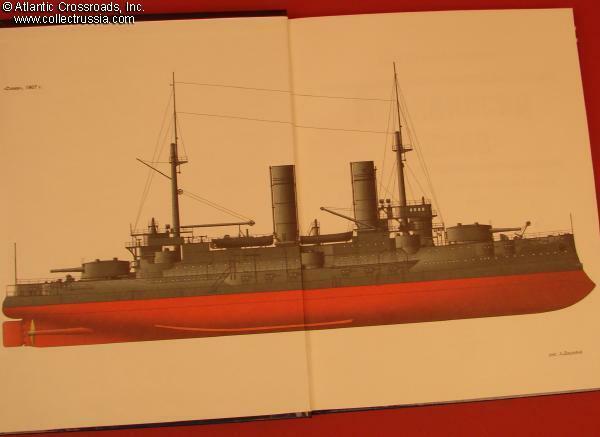 Excellent book for a naval historian or model builder!